What sets Everwood apart from the other day camps in the greater Boston and Providence areas? 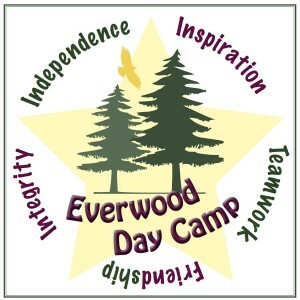 Here at Everwood, we are dedicated year-round to the summer camp experience, and are proud of our program and our exclusive summer camp facility. 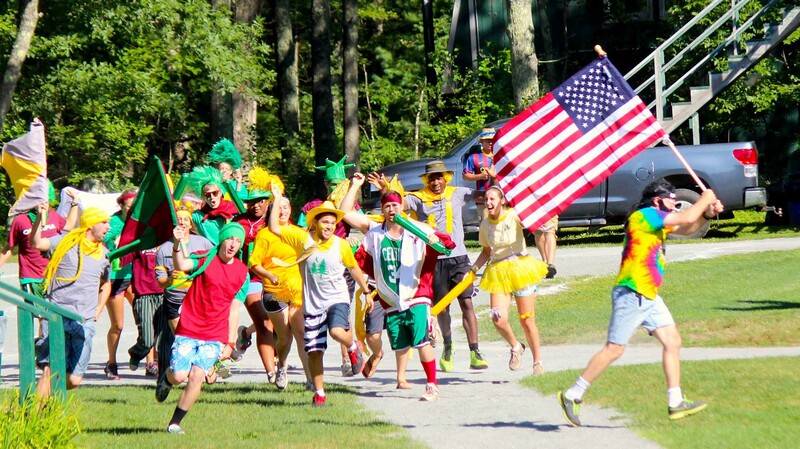 We not only have the look and feel of a traditional overnight camp (nature and the great outdoors are an integral, part of who and what we are today) but we have all the spirit, tradition, and community that overnight camps have as well. Many unique features of our property allow us to remain the kind of Camp that we went to as kids, and that you may remember going to (or wanting to go to) yourself. We are fortunate enough to have lakefront property situated on Lake Massapoag, a glistening 353 acre, natural freshwater lake that is constantly fed by the springs and environment around us. We have not one, but two sparkling waterfronts with beautiful sandy beaches. 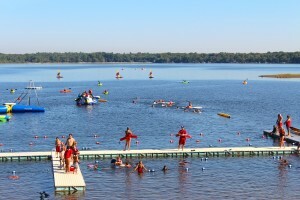 The lake also provides us with the opportunity to host a multitude of water activities right here at home. We do not have to transport our campers anywhere to enjoy activities such as the Wibit, fishing, kayaking, sailing, boating, tubing, and racing each other in our 16 person war canoes. 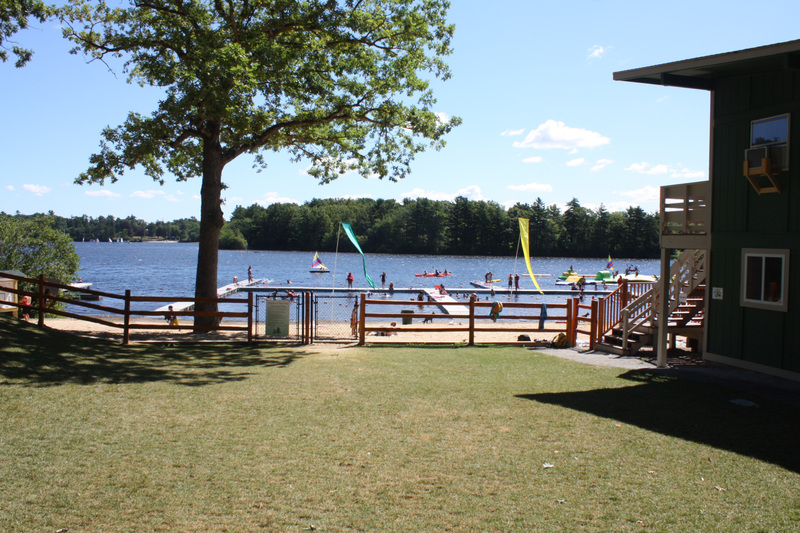 Everything is available to our campers just by walking down to the lakefront, where they can spend more time enjoying the natural waterfront and the opportunities it provides. nature programs. We even have an outdoor cooking area designed just for our campers during elective periods and a campfire area for songs and s’mores. 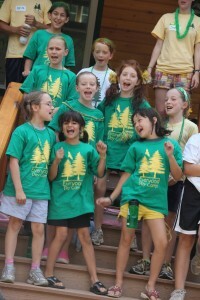 Our Campers and staff members eat lunch outside, in groupings of picnic tables set up under our shady 100 ft. pine trees. That being said, with over 40 buildings on our property (including our 8000 square foot main lodge) we have plenty of space tokeep the program moving and our campers busy even on rainy days when not all of our outside activities can take place. Even our activities and electives that need to be inside are kept in buildings that blend in with the natural environment. For example, our large arts and crafts center is situated on our main waterfront, with plenty of open windows with fantastic view of the lake. Our groups all have separate bunks, where they have a safe and private area to change, cubbies to store their belongings in, and are able get a few shady minutes out of the sun. Each of our bunks are designed to give campers a REAL Camp experience, and eliminates the pressures and formalities of locker rooms or classrooms. Everwood’s unique and authentic experience does not stop with just the look and feel of the property, it is also reflected in our day-to-day practices and how we run our summer sessions as a whole. We have a clear value set that we communicate to our campers on a daily basis throughout each and every one of our activities. 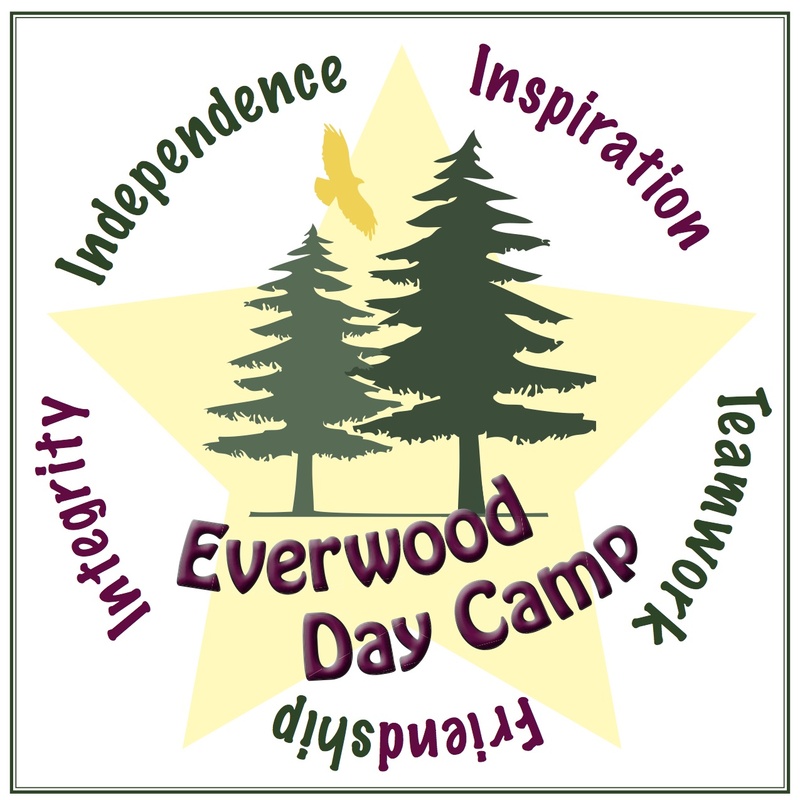 The Everwood 5-Star points: Independence, Integrity, Friendship, Teamwork, and Inspiration, guides our campers all summer long to ensure growth in skills they’ll use to contribute to the world beyond the summer. Our consecutive three week minimum for our campers, and very limited “start weeks” means that we have a stable, consistent population that has the time to develop lasting, meaningful relationships. 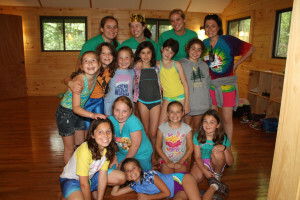 We are confident that our counselors will know your child better than at any other day camp, and that his/her peer relationships will be stronger too! Also, on a daily level, our dynamic Spirit Calendar means that we have a different theme or special event every day of the summer. 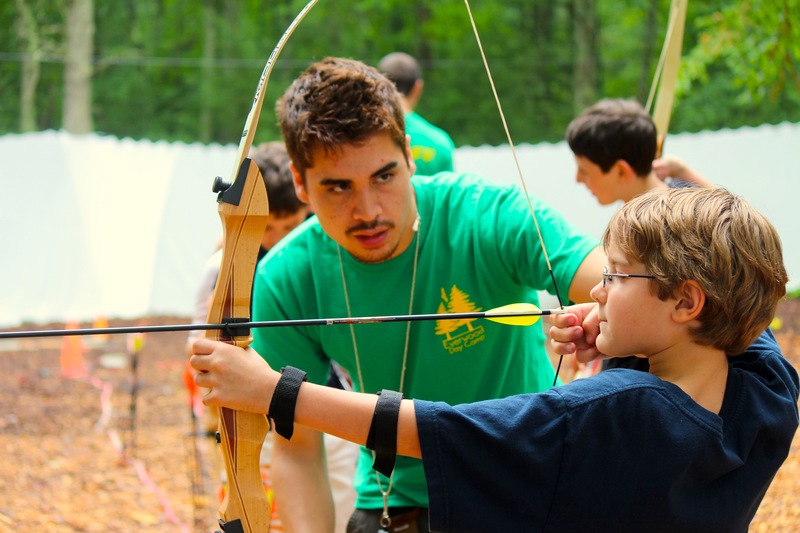 These are unique, Camp-specific activities that cannot be experienced anywhere other than Camp. At Everwood Day Camp, our campers experience all the fun, adventure, and friendship of camp life, plus the support of a community that’s committed to providing skills for life. This is the way summer is supposed to be!